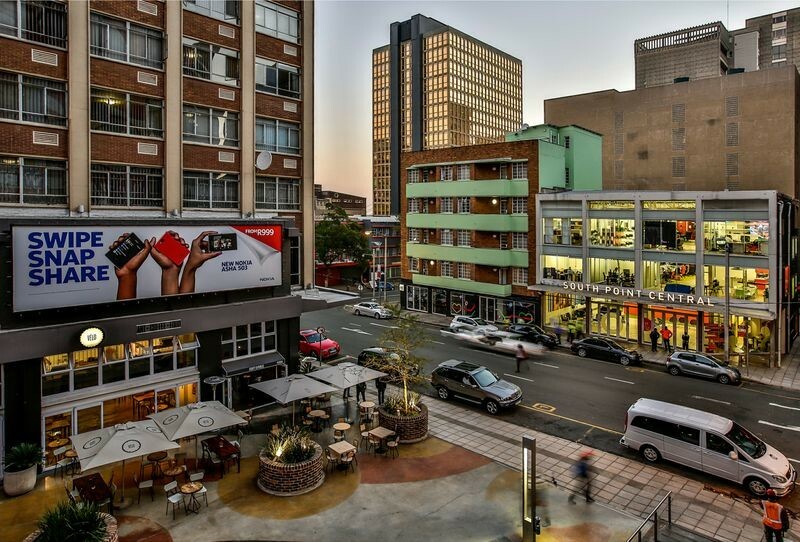 Braamfontein, Joburg’s student heartland and unofficial capital of cool, is one of the city's brightest examples of inner-city regeneration. 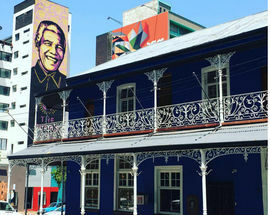 Alongside the neighbourhood’s hipsters, students and street fashion rebels, a burgeoning art scene characterised by edgy, contemporary art galleries and vibrant public art and graffiti has emerged, as well as a lively cafe culture, helping propel the neighbourhood forward in its journey to becoming one of South Africa's most happening downtown districts. Braamfontein's eclectic mix of architecture reflects its changing fortunes over the past century and particularly its current upwards trajectory and around every corner there's an interesting example of Brutalist, Art Deco, Edwardian or 21st Century architecture, incongruously sitting together. 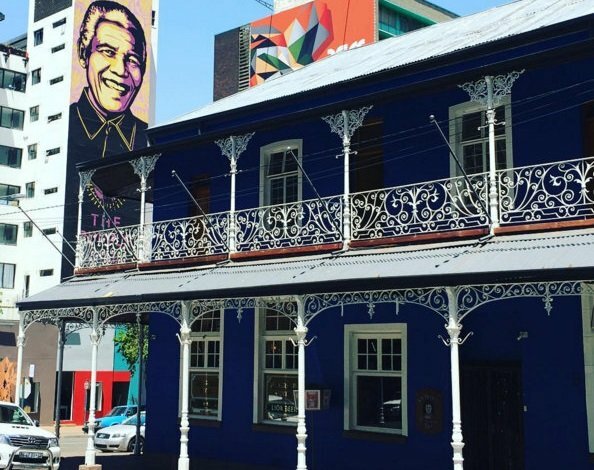 Here's a look at ten of Braamfontein's most notable architectural landmarks, both new and old. 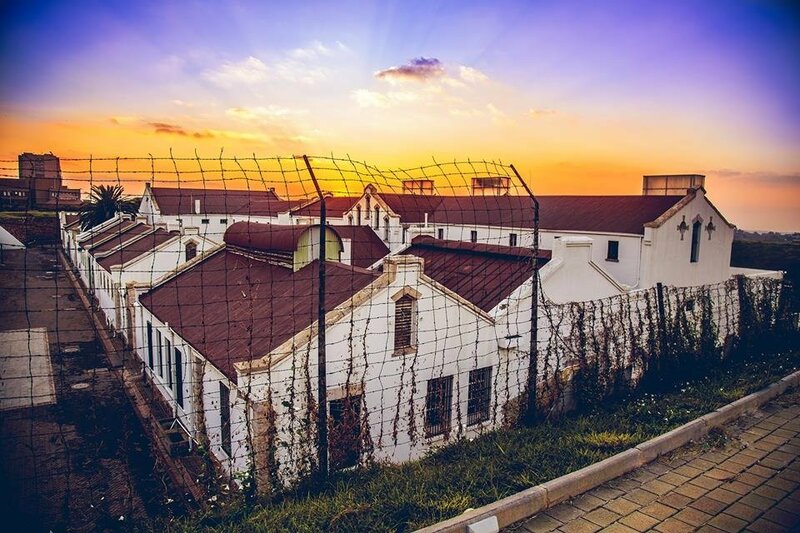 The Old Fort at the centre of the Constitution Hill complex was built in 1893 as a fortress to protect Johannesburg from the threat of invasion and also to keep a watch over the miners flocking to the growing settlement. Following the end of the Anglo-Boer war, the fort became a jail for white prisoners. One notable exception is Nelson Mandela who was briefly imprisoned here when he was arrested in 1962. His cell now forms the Mandela Cell exhibition, one of many exhibits that form part of the Old Fort museum, one of three museums in the Constitution Hill complex. Take a walk around the fort ramparts for a fantastic view of the city's skyscrapers. South Africa's Constitutional Court, located at the Constitution Hill complex in Braamfontein, was officially opened on March 21 (Human Rights Day) in 2004. The building's design and the artworks within it reflect the values of the constitution such as transparency, equality and the protection of human rights, while also reminding visitors of South Africa's struggle history. Some of the most notable architectural features include the remnants of the old Awaiting Trial Block which was demolished to make way for the court. The bricks were saved and used in the construction of the new building while four stairwells from the block remain intact, two of which stand in front of the entrance where the eternal flame of democracy burns. The building's most enduring architectural theme is the idea of 'justice under a tree', a reference to the African tradition of transparent community meetings, reflected in the wire chandeliers designed to resemble a leafy canopy and tree-like mosaic pillars in the foyer. Also take note of the massive carved wooden doors at the entrance which display the 27 fundamental human rights, carved in 11 official South African languages as well as depicted in sign language and braille. 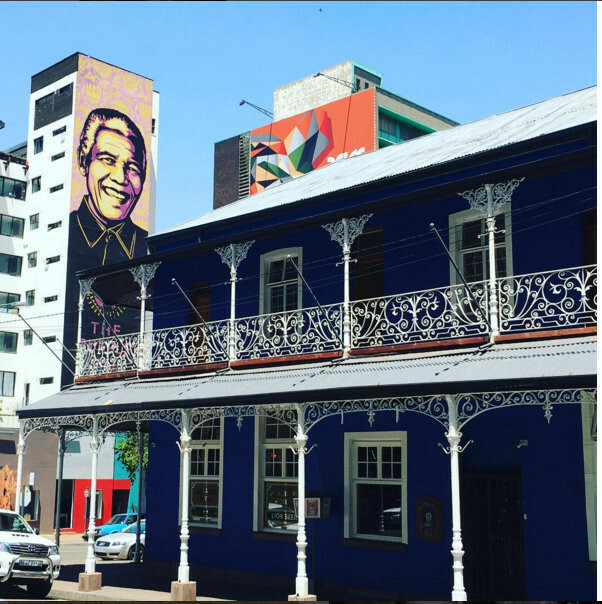 Opened in 1898 as the Hansa Bar and Hotel, this classic British Colonial-style building was a popular drinking hole for British army officers during the Anglo-Boer War. The pub was renamed for a crucial 1902 meeting that happened here between Lord Milner and Lord Kitchener. Today its a cool hang out for Braamfontein's students and creative types who party late here, having the time of their lives among the bar's original trimmings (even the wallpaper hasn't changed since the Edwardian era). 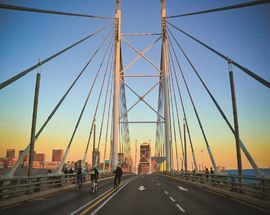 Completed in 2003, Nelson Mandela Bridge is one of the city skyline's most impressive landmarks, especially by night when it lights up with the colours of the rainbow. With a length of 284 metres it is the biggest cable-stayed bridge in Southern Africa. 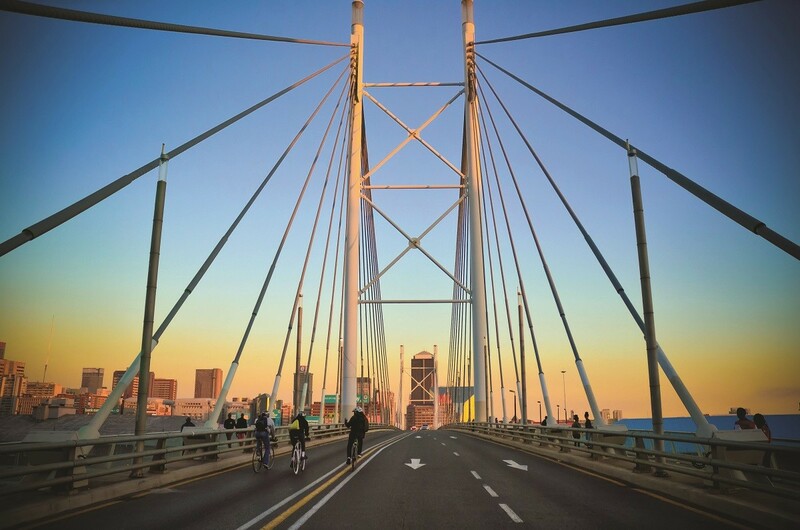 Practically, the bridge links Braamfontein to Newtown, while symbolically it recalls Nelson Mandela bridging the divides created by Apartheid. Conceptualised in 1961 the vast Johannesburg Civic Centre is one of Joburg's most imposing examples of brutalist architecture. Its massive stark concrete facades, pockmarked by endless cabin-like windows, overshadow the wide esplanades and pedestrian walkways used by commuters and city workers that surround the complex. For fans of the 1960s and 1970s age of concrete, the building possesses an interesting play of light and shadow that calls to mind other civic projects around the world such as London's oft-lamented residential tower blocks and even some of the later period Soviet architecture seen in Moscow. Standing in stark contrast to the concrete monolith of the old Civic Centre next door is this glittering glass rotunda that was completed in 2017 at the cost of R280-million. 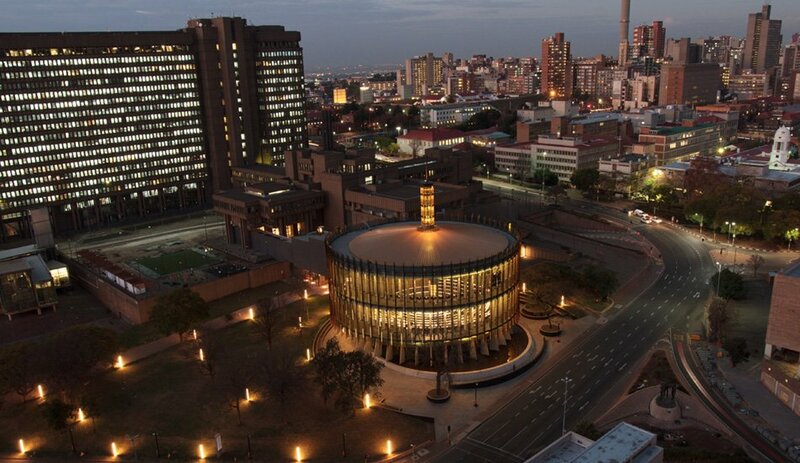 The building is lit up at night in an alluring array of rainbow colours while its cylindrical glass-covered design by leading South African architectural film StudioMAS is said to have been modelled on a drum. 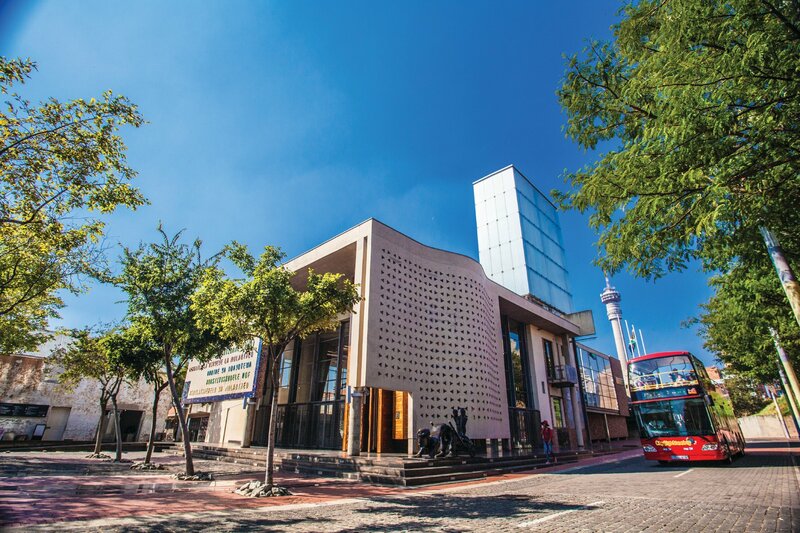 Part of Wits University, the first building in Braamfontein's Tshimologong (a Setswana word meaning 'new beginnings') Precinct was built on the rubble of an old nightclub. Ingeniously incorporating the old nightclub's structure into the new space, the dance floor became a co-working space, while the sound and light control area is now home to the hub's servers. The precinct stretches out into the neighbouring buildings, tied together by a cool grey minimalist exterior and is part of an ambitious technology cluster development programme that aims to turn the suburb of Braamfontein into the new digital technology heart of South Africa. 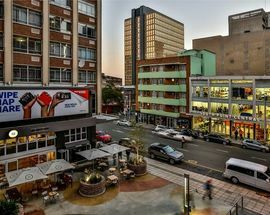 A brightly coloured urban piazza located at the corner of Melle and Juta Streets, The Grove is a contemporary pedestrianised square popular among students who live in the surrounding high-rise residences, as well as visitors staying at the upmarket backpacker's hostel Once in Joburg. Carved out of a city block by local property developers South Point, which has spearheaded much of Braamfontein’s regeneration, The Grove is home to numerous fast, yet atmospheric food joints: The Immigrant for craft beers and an easygoing vibe; 86 Public, a small and hip pizzeria; and the charming Galata Bakery, a family-run business offering authentic Turkish confections. In another public-friendly move, The Grove piazza also offers free wifi. 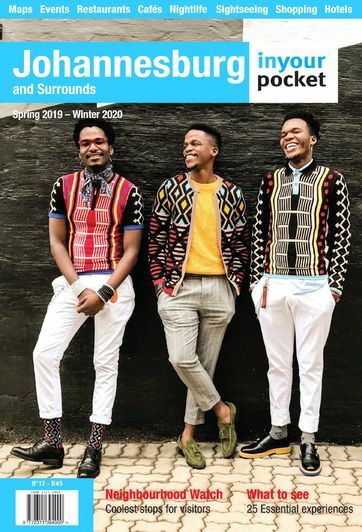 Launched in mid-2018, 99 Juta is Braamfontein's newest interior design hub housing the showrooms of leading South African design brands Dokter and Misses, Urban Native and Product by Joe Paine to name just a few. Barely two years earlier the building housed a shabby tavern and was in such a poor state that everything bar the beautiful 1940s steel and wood staircase which curves its way through the middle of the building and the four external walls had to be stripped out. 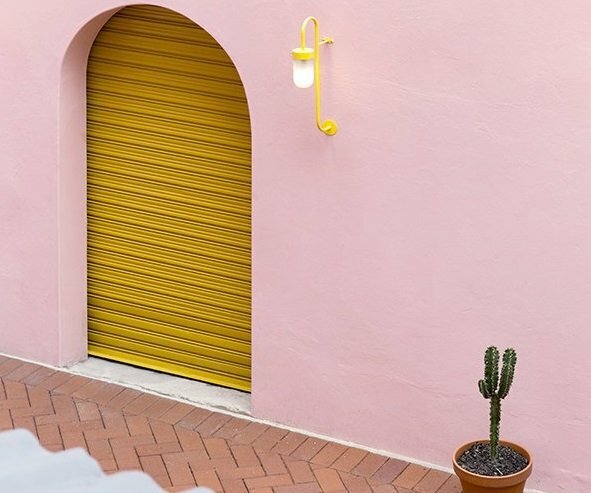 Wander around this cool pink and turquoise Miami Art deco-styled building today and you quickly get a sense of Braam’s ambitious spirit and the dreamers who are reinventing the neighbourhood. Another new pedestrianised development by South Point, the hip block of Reserve Street between de Korte and Jorissen Streets has been transformed from a scruffy row of spaza shops into a chic lane offering a range of trendy haunts like the DJ-owned bar and art gallery The Artivist and the super-stylish nail salon Amazi. An eye-catching bridge-like structure links the two sides of the street above you while greenery has been brought to the widened pavements with the planting of indigenous African fever trees.